You are here: Home / Crochet Other / Link Parties / Your Favorites! Crochet Villages, Crochet Coasters & Treats and Gifts! 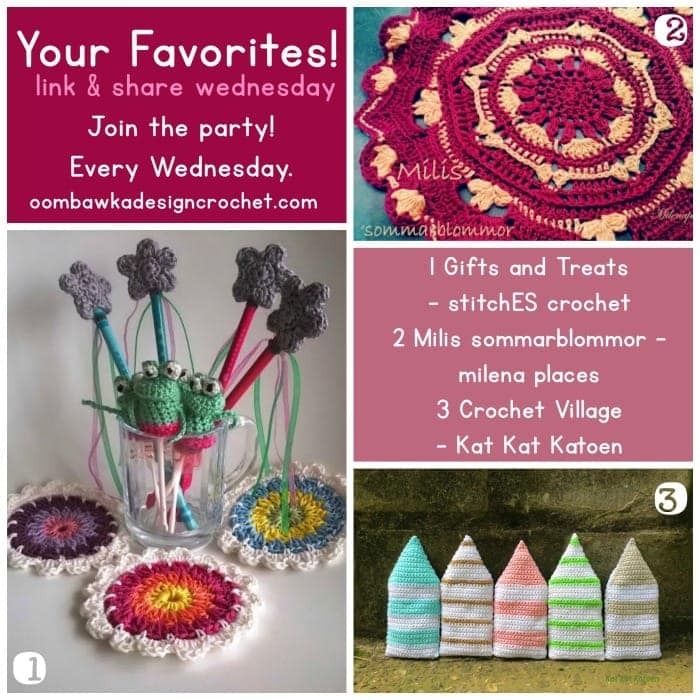 This week your favorites were all about Crochet – with crochet coasters, crochet villages and crochet treats and gifts – there are projects for everyone to try! I especially love the free pattern for the cute crochet frog finger puppets! Add your projects this week and be sure to pin your favorites too! 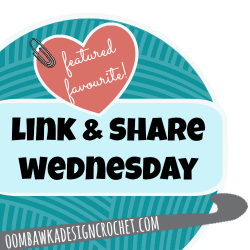 Here are your featured favourites from last week’s Link and Share Wednesday – Link Party 152 as chosen by you! . Thanks for hosting a great party, Rhondda! Hope you enjoy the rest of your week! Hi! Thanks for your nice Link Party and thanks for featuring me 🙂 Have a nice day!